It's been a minute (just over three years to be exact) since #Haylor was a thing, but leave it to the good people of Twitter to do God's work and once again intertwine Harry Styles and Taylor Swift. This time it comes in the perhaps inevitable references to T. Swift's "22" in honor of Styles' 22nd birthday. 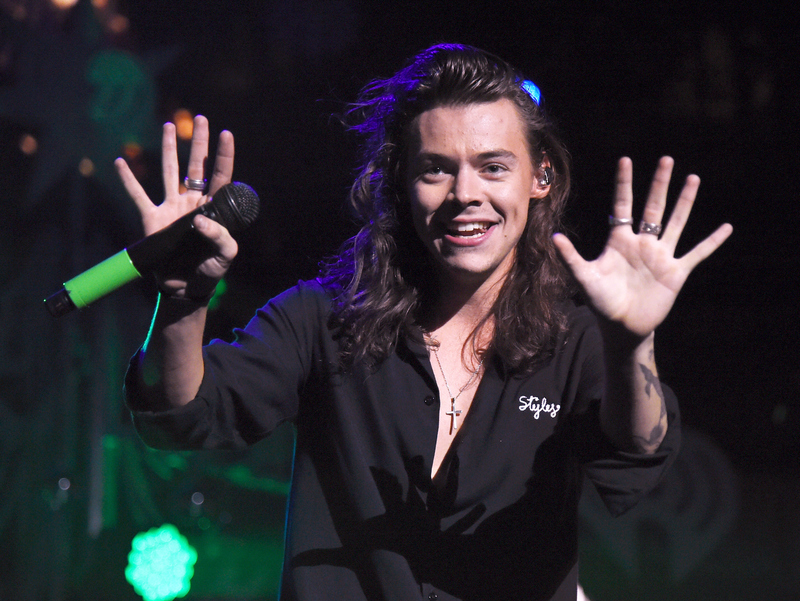 Since Monday, Feb. 1 marks the One Direction singer's 22nd year gracing us with his presence on this planet, it's pretty safe to assume that Styles, is, in fact, ~feelin' 22~. And fans being fans, this means that it's obviously cause to celebrate by superimposing Styles' face onto stills from the "22" music video. To know the Internet is to know its love of pop culture references and fandom crossovers. And, to be fair, ever since Swift released "22" (off of her album Red) in 2012, nary a 22nd birthday has gone by without some friend or the birthday celebrant themselves quoting, "I don't know about you / But I'm feelin' 22!" This means that even without Styles' romantic history with Swift, the "22" song lyrics would come up today because they are straight iconic and also one of the only songs I can think of off the top of my head about being 22. So whether you're celebrating Styles turning 22, rejoicing over an Internet-born #Haylor reference, or just feel the need to get a Taylor Swift song stuck in your head today, bask in the glory of the Harry Styles "22" memes below. Bless you, One Direction fandom. You know what they say: "Everything will be alright if / You keep me next to you-uuuu!" Happy birthday, Harry Styles!